The warmest spot on the Pacific Ocean is North of New Zealand. Happens to be also the most active earthquake activity on earth and the deepest quakes. Surface temperature is 90F. Earthquakes are predicted just like the weather. Energy travels under the plates from earthquakes setting off more earthquakes. The temperature at the center of the earth is 10,800 F. In recent years heat has been rising to the surface. The icecaps are melting from the bottom up. Nuclear tests in North Korea caused mountain to collapse. The findings, by scientists at the University of Science and Technology of China, suggest the partial collapse of the mountain that contains the testing tunnels, as well as the risk of radiation leaks, have potentially rendered the site unusable. 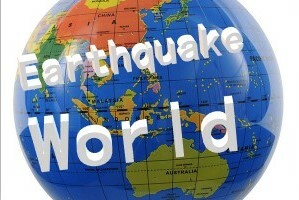 80 to 90 percent of all the earthquakes in the world actually occur in the same region of the Earth’s crust. Man caused earthquakes are from mining, oil well fracking, nuclear test, and geothermal plants. There are about 500,000 detectable earthquakes in the world each year. 100,000 of those can be felt, and 100 of them cause damage. For major eruptions, such as that of Mount Pinatubo in 1991, the cooling effects can last for years. That eruption lowered global temperatures for three years, by as much as 1.5 degrees Fahrenheit at its peak. 21 states, from California to Texas, Michigan to West Virginia, currently employing this high-intensity form of energy extraction, and five others may soon follow. Called high-volume hydraulic fracturing, or fracking, the controversial process became commercially viable in the late 1990s. The world seems to have entered a period when the seismic situation is becoming more unstable and earthquakes are occurring more often. The increase in the frequency and intensity of earthquakes is observed throughout the planet.